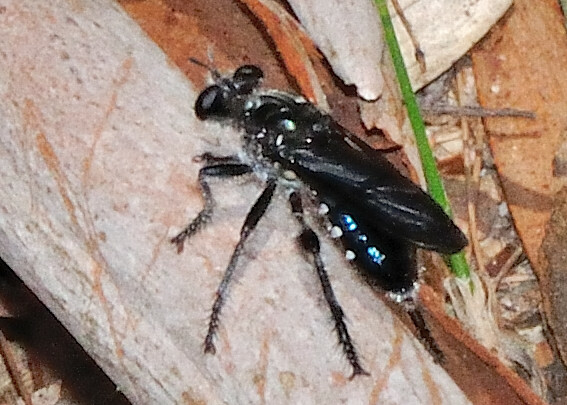 This page contains pictures and information about Black-legged Black Robber Flies that we found in the Brisbane area, Queensland, Australia. 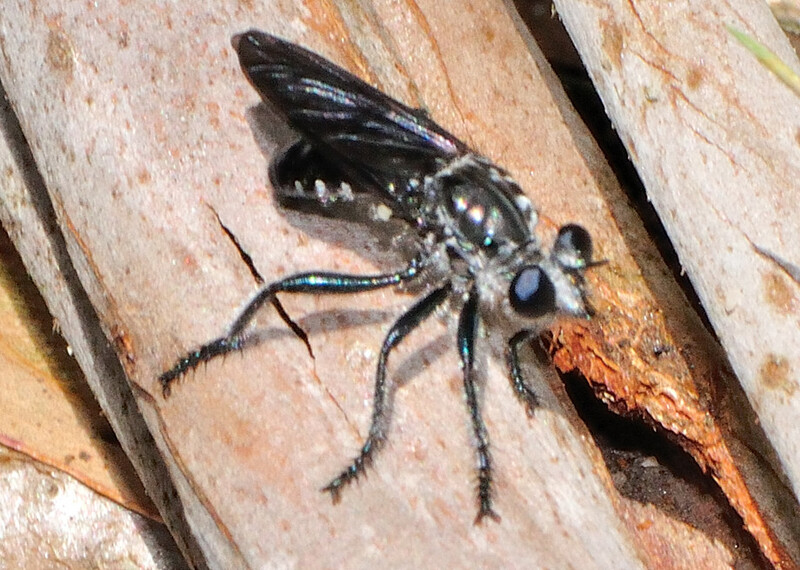 The Robber Fly is shiny black in colour with whitish hairs on head. 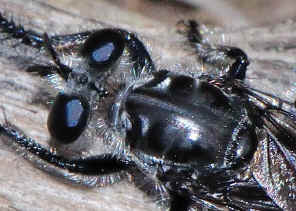 Antennae are black. There are the white marks on thorax. Ground colour of abdomen is shiny black. There are whites spots at side of abdomen on tergites 2, 3 and 4. 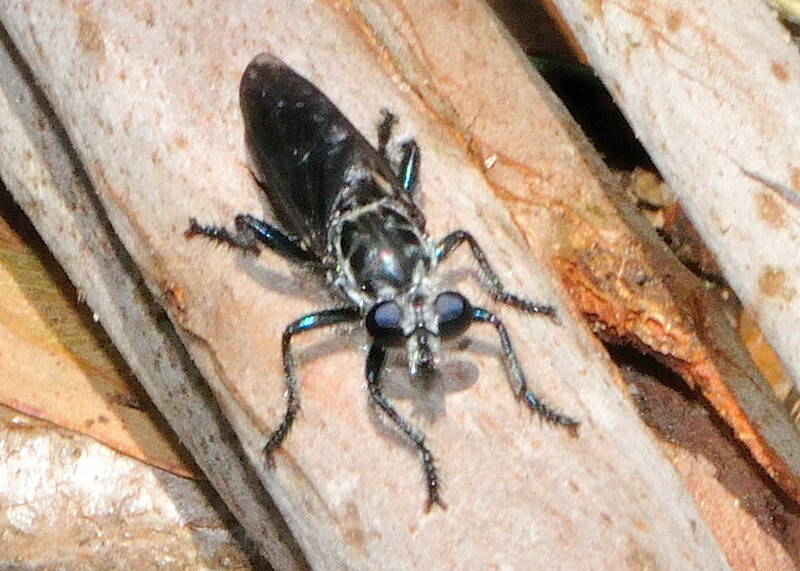 Wings are blackish. The wings are tined in black colour with the clear area near the wing base. 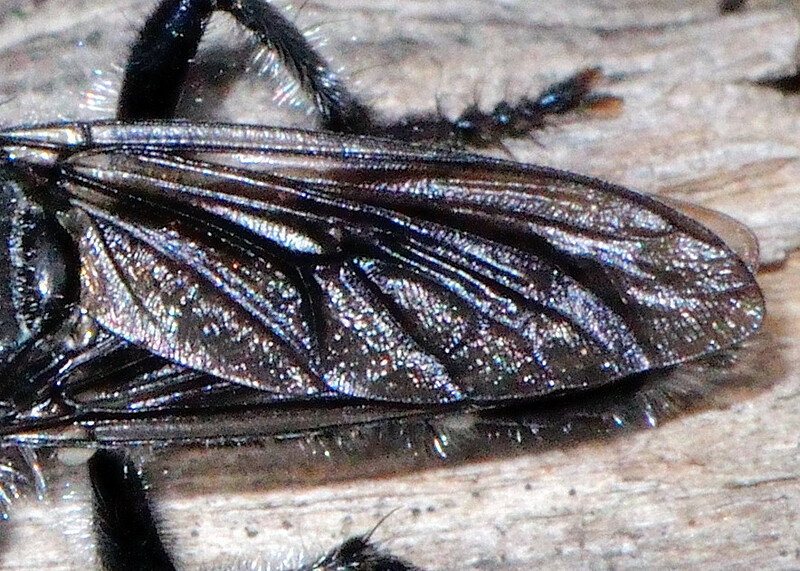 All legs are strong and black in colour. Pictures taken in Karawatha Forest on Jan 2009. The Robber Fly in the above pictures seems laying eggs on loose bark. In general, female robber flies deposit creamy colour eggs on plants or in gaps within soil, bark, or wood. Egg-laying habits are different depend on species and habitat. 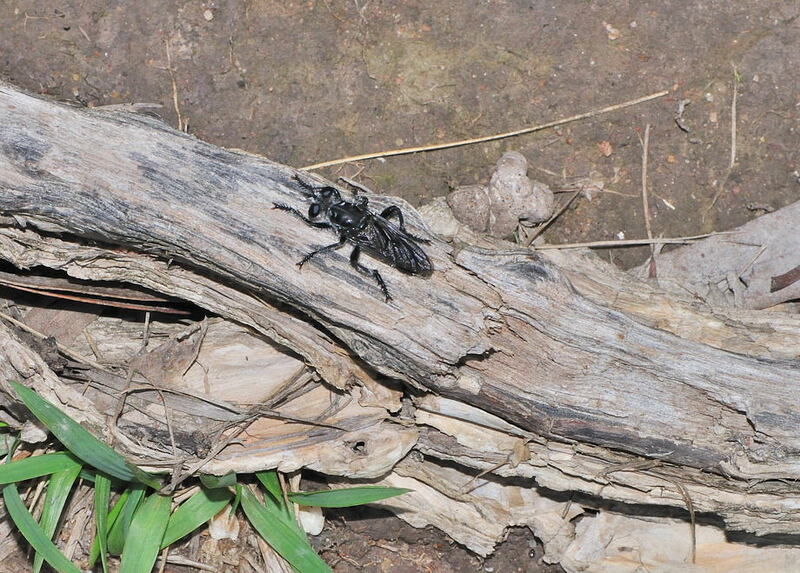 Most species lay eggs in masses and are covered with protective coating. 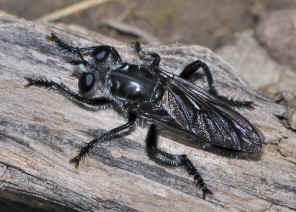 Robber fly larvae live in the soil or in rotting wood. 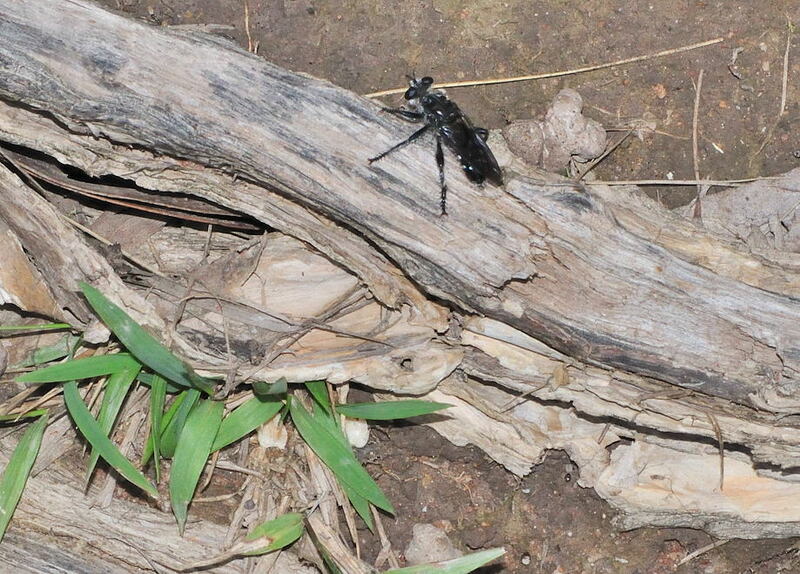 Larvae are either predatory or parasitic, they feed on eggs, larvae and other soft-bodied insects. 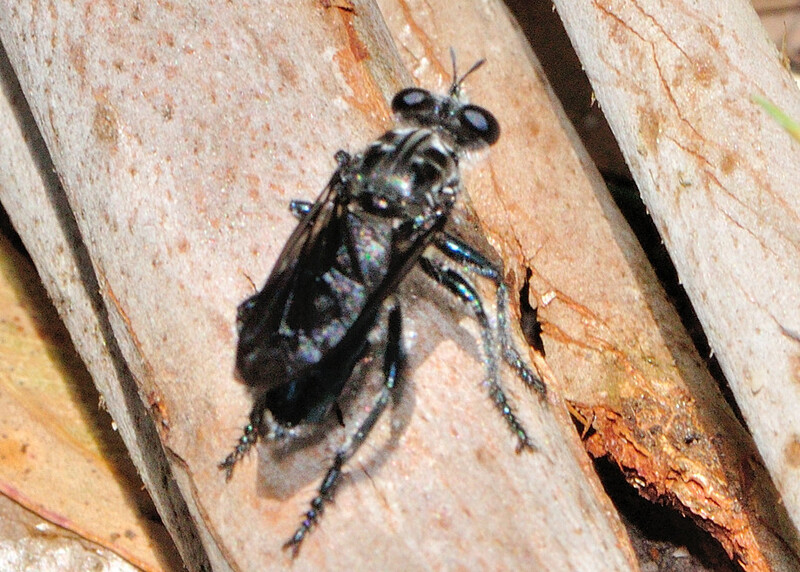 We have more information about Robber Flies in this Robber Fly Biology Page. 1. 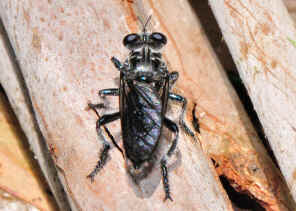 Insects of Australia, CSIRO, Division of Entomology, Melbourne University Press, 2nd Edition 1991, plate 5. 2. 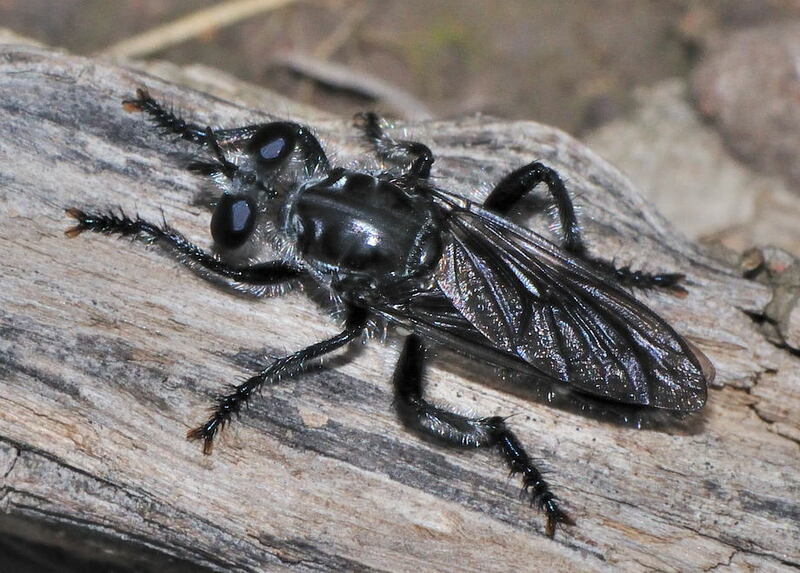 A review of Australian species of Laphria (Asilidae: Diptera), with descriptions of three new species from Lord Howe Island - Paramonov, S.J. 1958, Pacific Sci. 12: 92-105.